It is a heartfelt honor to write this letter on behalf of the Arizona Daily Wildcat and the many people who have invested in and been rewarded by having spent time there. I have two meaningful developments to share with you. First: The Arizona Daily Wildcat and the University of Arizona are pleased to announce that the Wildcat’s business and marketing offices are to be renamed the George B. Morley II / Charlie Kennedy Business Development Center. This official dedication acknowledges and honors two wonderful men who influenced and inspired many Wildcat students in the past and whose spirits will continue to do so in the future. The dedication will take place April 10, 2017 at 11:30 a.m., in the Student Media offices, 615 N. Park Avenue, on the UA campus. The ceremony will be followed by refreshments and memorable conversations, in the company of members of George’s and Charlie’s families. If you’d like to attend, please reach out to Faith Edman at azstudentmedia@wildcat.arizona.edu or call (520) 626-6699 to RSVP by March 29, 2017. If you are unable to come but would like to share a memory or thoughts about George and/or Charlie, please email them to the above address. Secondly, I am proud to say that the Wildcat’s Innovation in Media campaign has raised more than $80,000 to date and is still growing. Funds are used for training and technology which benefit the Wildcat’s many students preparing to embark on professional careers. The campaign was established in 2014 to raise money and resources to empower and enable the Daily Wildcat marketing, sales and newsroom staffs to navigate the disruptive media landscape that all media organizations face. If you are interested in contributing to the Arizona Daily Wildcat Innovation in Media Fund in honor of George Morley and Charlie Kennedy, please click on the link below: http://dailywildcat.com/innovation. Include the honoree’s name in the comment box. Please contact Student Media director Brett Fera, bfera@email.arizona.edu, (520) 621-3408, if you have any questions. Wishing you and yours all the best and continued success. GEORGE MORLEY’s 15 years leading the Daily Wildcat’s advertising department was his second career — one that made a significant difference in the lives of many Wildcat students. Joining the staff in 1978, Morley brought polish and professionalism as a former 28-year member of the U.S. Foreign Service to the Wildcat, where he served as advertising manager until his retirement in 1993. He always wore a tie and jacket and set high standards. During these years, the Wildcat became fully independent financially from the university and Morley’s staffs regularly began bringing in the $1 million plus required to sustain the Wildcat’s excellence.He passed away in March 2003. CHARLIE KENNEDY enrolled at the UA in 1988 and graduated in 1992. Charlie was an SAE and joined the Daily Wildcat as an Advertising Sales Account Executive in 1990. Charlie, who passed away far too young, is remembered for his reputation, dedication and sense of brotherhood. Truth be told, Charlie was George’s favorite. Rightfully so — 2 Irish guys with similar work ethic, passion and moral code. The Daily Wildcat Hall of Fame ceremony has been postponed until next fall, with the goal of having it on the Friday evening of 2017 Homecoming. The university has not yet set the dates for the weekend but we’ll move forward as soon as it has been announced. Thank you to all who sent in nominations. There are many strong candidates, and the alumni selection committee will move ahead in the next few weeks to finalize the list of honorees. We are sorry to have to delay the ceremony. This past year has been one of evolution for the Wildcat and all of Student Media, transforming how the newsroom produces and delivers news, how the advertising/marketing staff generates revenue and promotions, and how all our media fit together. It has been an exciting and challenging year, and the work continues. As alumni and supporters, you are a part of this evolution. Today’s Wildcat is very different from its early days, but also very much the same. Its cornerstone is and has always been the passionate, engaged students who produce editorially-independent news and advertising content. You are the Wildcat. We are committed to improving our communication and will be sending regular updates over the next year, and hope to see you soon! Arizona Daily Wildcat alumni have inducted 67 former Wildcatters or advisers into the Daily Wildcat Hall of Fame since its inception in 2001. Our alumni have distinguished themselves nationally in journalism and many other fields. The Daily Wildcat Hall of Fame includes Pulitzer Prize winners as well as alumni who excelled in law, business, technology, film producing, education, and even horse-racing. It’s now time for the next round of nominations. Do you know someone who deserves to be honored in the Hall of Fame? Please submit a nomination by April 15, 2016. We are in the early stages of planning the Wildcat Alumni Hall of Fame and Young Alumni Awards ceremony, possibly for late January 2017. 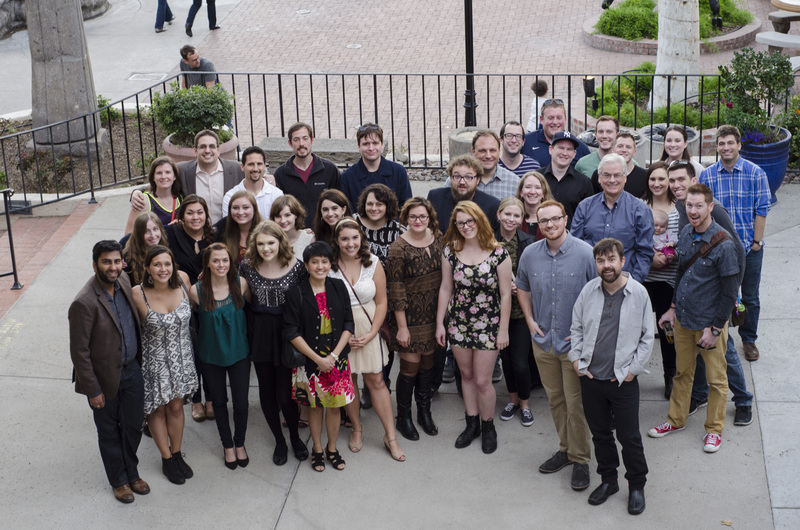 Is there someone you’d like to nominate for a Wildcat Young Alumni Award? We’ll be sending out details soon. If you have any questions, please email Student Media interim director Brett Fera or call him at (520) 621-3408. The Arizona Daily Wildcat has kicked off its Innovation in Media fundraising campaign, with momentum provided from generous lead donors to get us rolling. The goal of the campaign is to help the Wildcat and our students continue their evolution into a sleek and potent news organization. The funds raised in this 3-year drive will provide training and technology support for both the news and advertising areas. Our goal is to raise $250,000. It’s an ambitious and somewhat daunting amount, but with your help, it will ensure the Wildcat will continue to provide robust news, media and information to our devoted consumers and provide students the skills and experience needed for the future. Please consider being a part of our campaign. You can read more about it here. Thank you! Mark Woodhams Retiring, Come Celebrate His Career! 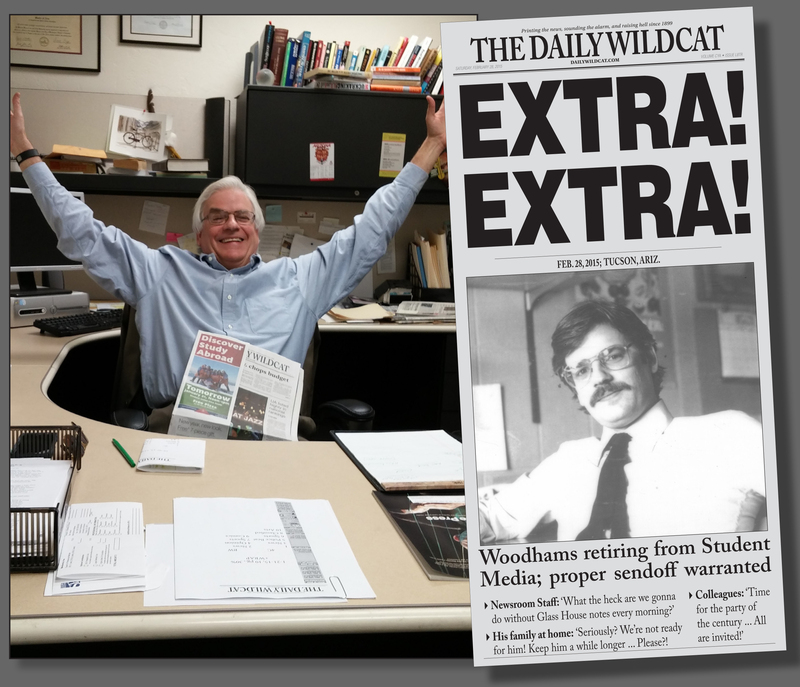 After 31 years as a presence across the national student media landscape, Mark Woodhams, director of Arizona Student Media and adviser to The Daily Wildcat for more than two decades, will retire from his current post at the University of Arizona at the end of February. Family, friends, students, former colleagues and any of the so many others impacted by his work are invited to a celebration of Mark’s career in student media on Saturday, Feb. 28, at Amalour (formerly known as Bodega), 4340 N Campbell Avenue (St. Philip’s Plaza) in Tucson. 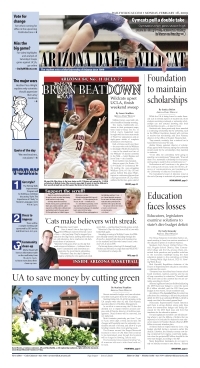 Look for the Daily Wildcat banner. Join us from 3:30 – 6:00, with a special presentation at 4:30. We’d be most grateful for an RSVP via either our Facebook event page or on EventBrite. Mark and his family arrived in Tucson 22 years ago, after nine years in a similar role at Northeastern University in Boston. He’s revered by students and our professional staff alike for his direct, often brutally honest, approach, his ability to balance the historical expectations of strong journalism with the demands for innovation in an ever-changing media landscape and his commitment to the future of this department – let alone opportunities for young journalists across the board.